The Pfhorums • View topic - They're Everywhere! Board index ‹ Content Creation ‹ Artwork and Music ‹ They're Everywhere! 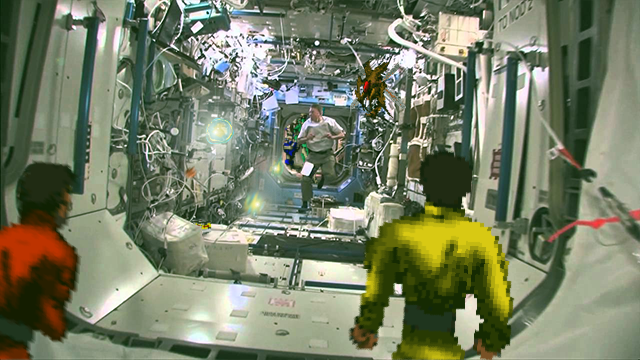 ...Not even the ISS is safe. 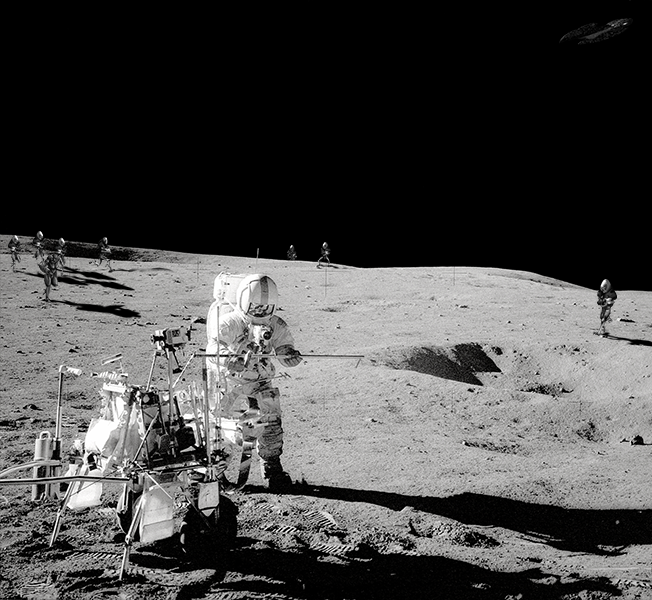 This is an uncensored photo of the Apollo 14 landing. A Pfhor ship is clearly visible to the top right, and vacuum-enabled Pfhor Troopers, led by an armoured Hunter (left), are advancing on the human position. Their unprovoked attack was doomed from the start as the astronauts were all experienced Vid-Masters, and the Moon soon became awash with alien ichor. It's a fake. Everybody knows we've never been to the moon. It's a government hoax and all the pix have been taken in the desert. Which means that the Pfhor are actually living in Area 51. That's only partially true, Helvius. What you don't know is that while the moon landing was indeed faked at first, the discovery of the pfhor near Area 51 was deemed as too sensitive for public knowledge. The discovery gave NASA no other choice than to begin an authentic Apollo mission which would send those three astronauts to the moon in 1969. That first crew, the ones who died in the fire? Turns out they were roasted by a lone enforcer.